TSE 436: The Moment I Knew Sales+Marketing = Genius! 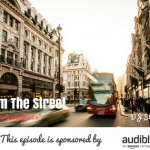 Home » TSE Podcast Post Page » TSE 436: The Moment I Knew Sales+Marketing = Genius! Today is the day of the Do Big Things Conference happening in downtown West Palm Beach, Florida. Wherever you are, even if you can’t make it to the event, be in the know and follow us at #DoBigThings16 on Twitter, Instagram, and Facebook. Recently, we have been talking more about the idea of sales and marketing which is rapidly changing. 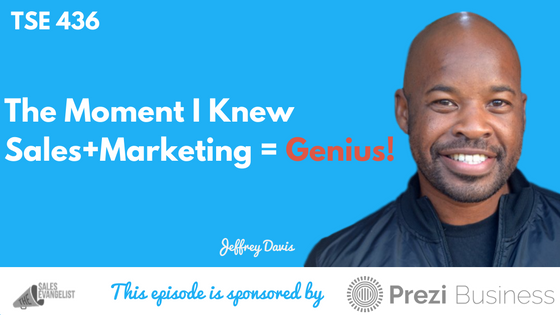 Today’s guest, Jeffrey Davis talks about how you can recognize how sales and marketing can work together and do phenomenal things. He shares metrics you need to focus on and some great insight into account-based management and startups. Jeffrey is the Founder of the Sales and Marketing Alignment Summit, an event where they bring together sales, marketing, and sales enablement in B2B technologies to have a conversation about the challenges they have working together and how to alleviate those and move forward. Many companies look at metrics but are not data-driven. 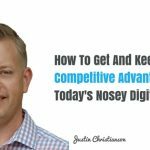 You can generate a healthy revenue and not realize you’re losing money because of missed opportunities. If you have a person that comes from sales, you tend to have a sales-driven organization. If you have somebody that comes from marketing, you tend to have a marketing-driven organization. Because the skill set is very different, it’s difficult to balance the two unless you have an executive team that has experience from both sides. Sell ideas, concepts, and strategies to sales people. Communicate with sales the reason you’re doing this, why they should care, and how is it going to help them reach their revenue goals and make money. All organizations should be sales-driven and it’s up to leadership to sell the unique attributes that marketing brings to them and how it can make their life easier so they can close more businesses. Instead of looking at sales as sales and marketing as marketing, look at it from the viewpoint of the customer. Start talking about customer journeys and look at it holistically as to how best engage potential customer so you get the outcome you want. Connect with Jeffrey on Twitter @jeff_davis2 and check out his blog at www.jeffdavis2.com. Learn more about the Sales and Marketing Alignment Summit at www.smasummit.com. They’re currently exclusively in Chicago but they wish to expand to other major cities throughout the country. Feel free to reach out to him if you’re interested to partner with him.